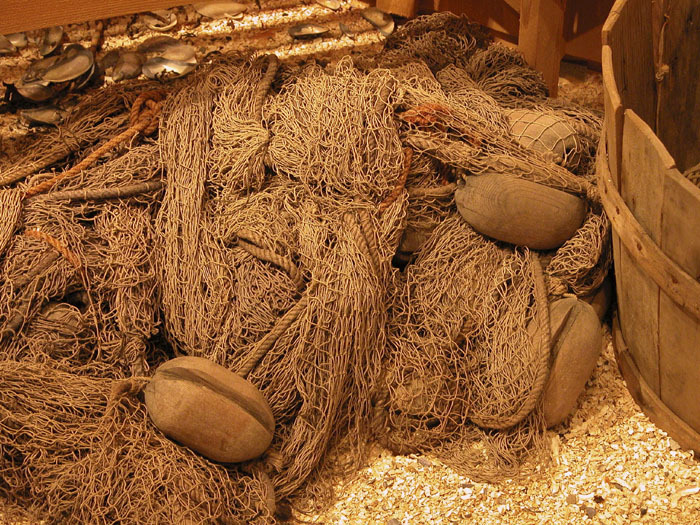 Six foot by thirty-seven foot net with wooden floats. 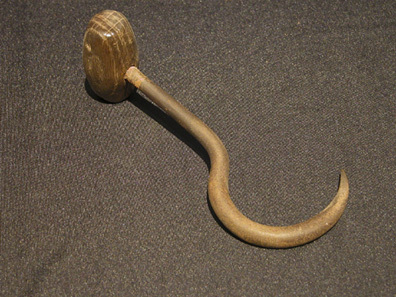 Probably used for a fish trap or as a seine net inside of a weir. Dry card compass in a nice dovetail box. 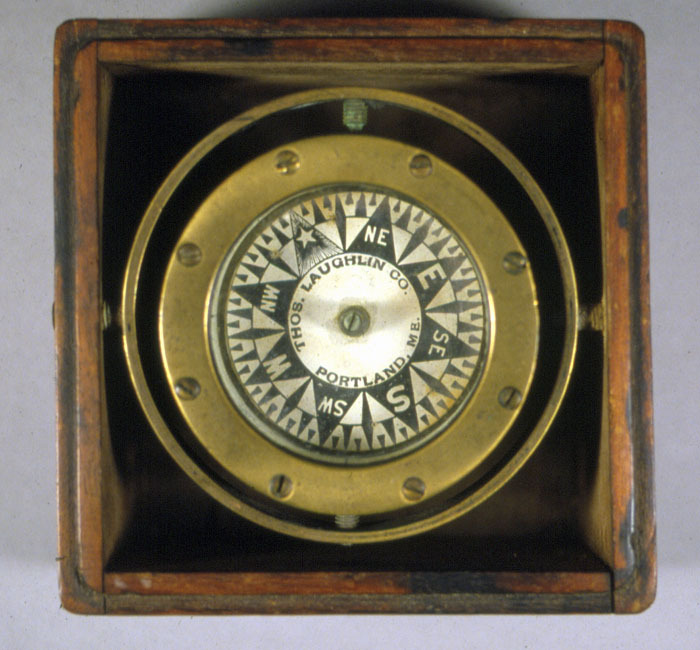 These compasses were sold by marine hardware dealers for use in dories and other small boats; sometimes this size compass is called a dory compass. 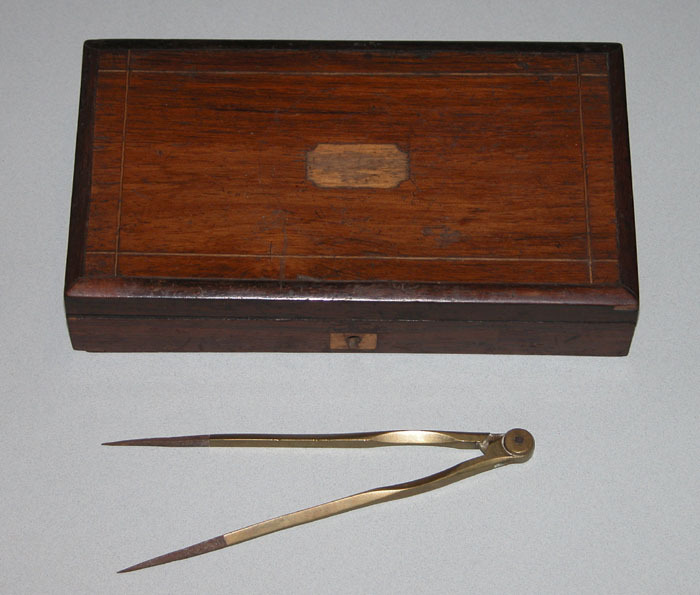 This box of instruments was owned and used by Captain Andrew M. Ross of Searsport aboard the ship Henrietta. The dividers were used for many position plotting and calculating purposes, including measuring distances traveled, plotting offsets in celestial sight reductions, and assisting in calculations with the gunter scale. 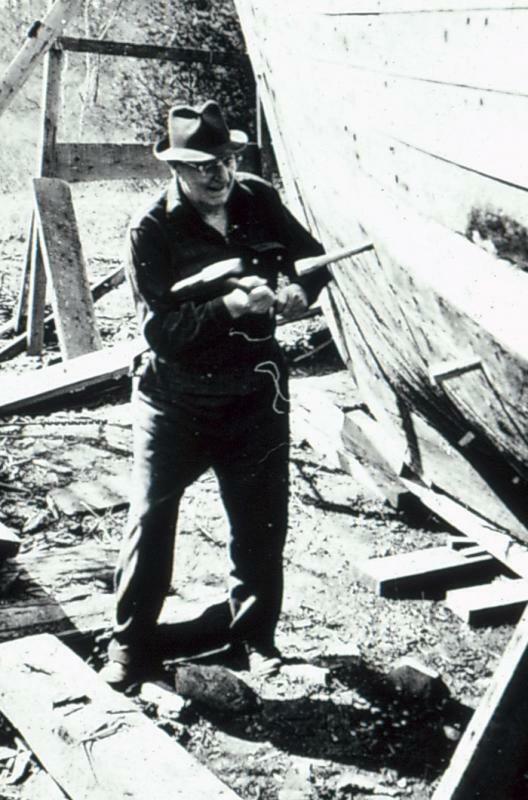 Using an auger to drill a hole for a treenail, a large wood pin used as a fastening. 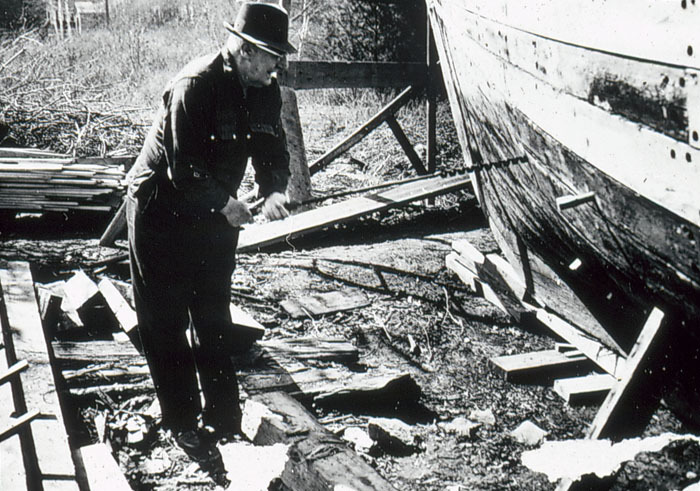 Using a drawknife to shape a timber, perhaps in this case, shaping a spar. 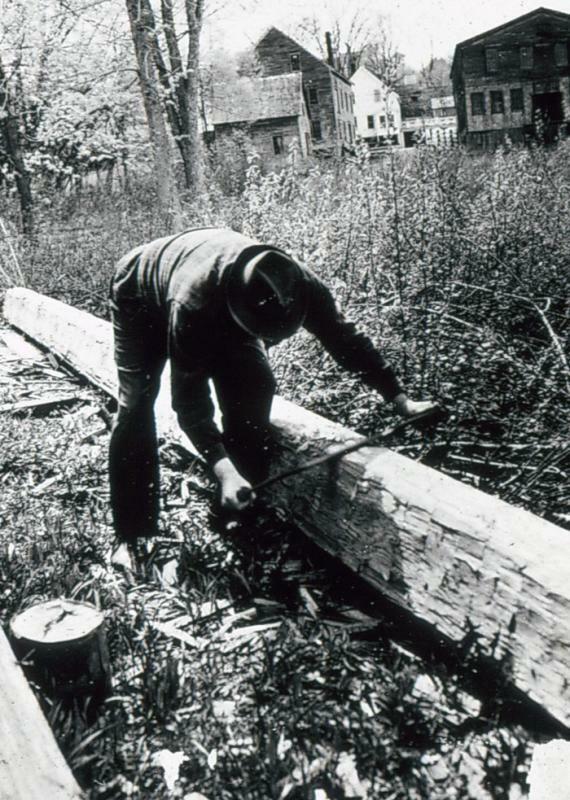 Driving a treenail to fasten the planking to the frame underneath. 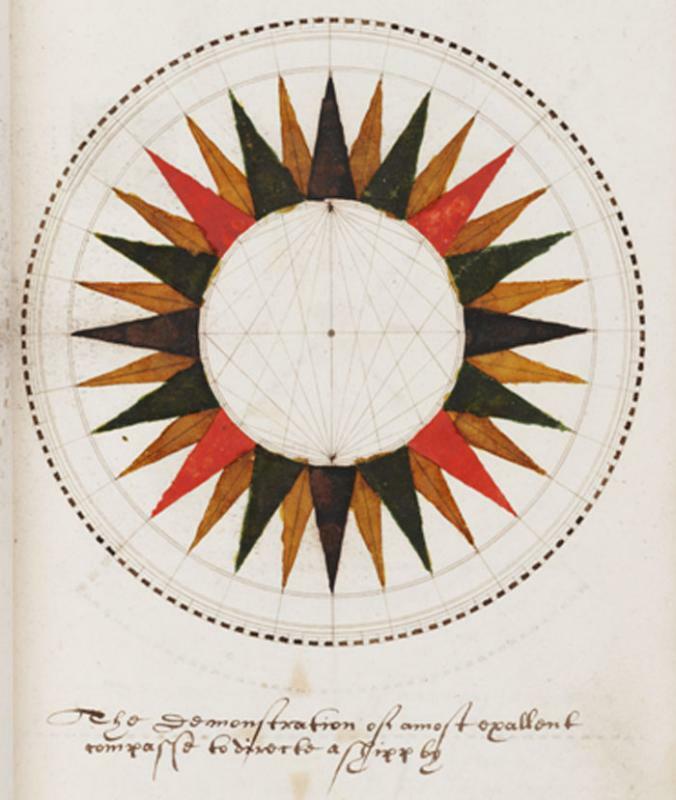 George Waymouth wrote his book on navigation, shipbuilding, gunnery, fortress building and other mathmatically oriented practical skills, called Jewell of Artes, in 1604, the year before he sailed to the Maine coast. He produced two known copies by taking his work to a commercial scribe; he then presented it to James I, the King of England. In the navigation section he provided descriptions of navigational instruments showing how they were laid out, believing that any navigator needed to be able to make instruments. This is his artistic rendering of a compass rose. 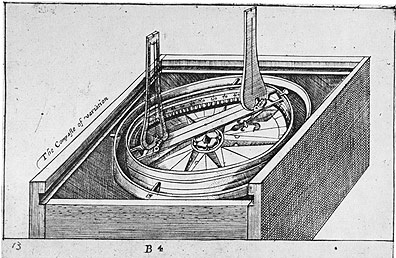 The compass of variation was used to determine the magnetic variation in a given location by comparing a known bearing with a magnetic compass reading. Cargo hook for lifting certain materials.